Showing 31 articles from May 30, 2018. LOUISBURG -- The Franklin County commissioners will host a budget session this coming Monday as they move closer to adopting a budget that, as proposed, would, among other things, raise the tax rate. Commissioners initially talked about holding the budget session on June 11, but wanted to push the meeting up, giving them more time to consider any changes. COLORS RAISED. Adjutant Charles Smith (left) and Commander Wayne Rigsbee raise the colors in front of the courthouse during the Memorial Day tribute. Pausing a moment to say thanks! 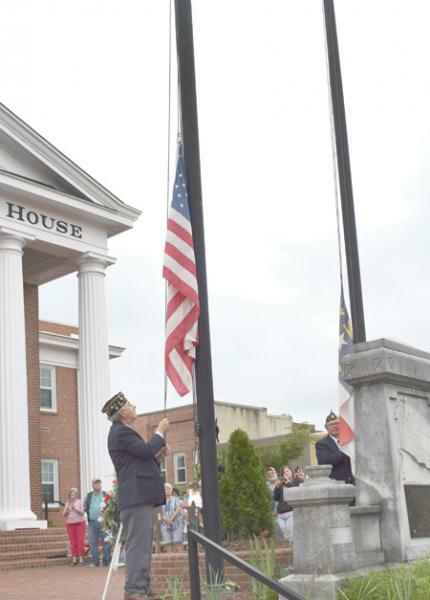 LOUISBURG -- With the echoes of patriotic music and the gunfire from a 21-gun salute providing the background, a small crowd of Franklin Countians gathered in downtown Louisburg on Monday to, as American Legion Post 105 noted, "remember those who have served." The Memorial Day downtown service was a project of the local American Legion Post 105 and offered a chance to remember those who have served this nation in the military -- and especially those who have paid the ultimate price to protect American freedoms. CASTALIA -- On Tuesday night, members of the Northeast Franklin Revitalization Committee made and gave themselves their own marching orders. The community group, committed to improving a long-forgotten section of Franklin County, has been meeting for almost a year and on Tuesday night, they began etching out how they'll put into effect a strategic plan they hope brings broadband service to the area, highlights agritourism opportunities and sparks residential and business development in the northeast quadrant of Franklin County. 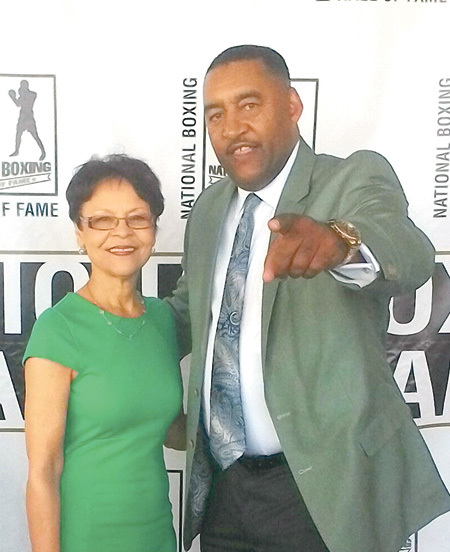 MONTEBELLO, CALIF. -- Muhammad Ali. 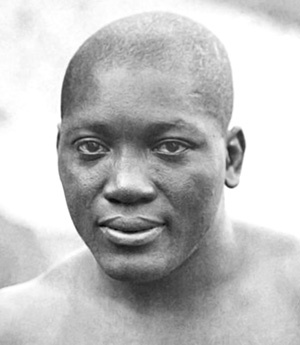 FRANKLINTON -- In just more than a week, it will have been 72 years since the world's first black heavyweight boxing champion, Jack Johnson, died on a road in Franklinton. It has been years since Franklinton businessman and former town commissioner Joe Cutchins penned a letter to former President Obama, asking him to consider giving a full pardon to the man whom his father and funeral home rushed to a Raleigh hospital in hopes of saving the popular pugilist. Gee, that sure didn't take long! And I'm really glad 'cause I went out on a limb with the prediction that Louisburg wouldn't wait very long to get a farmers' market concept going -- and, for a change, I was correct. A 'power couple' steps back, and we'll feel it! The end of May is a bittersweet time for many of us, especially those with an interest in history and using historical tourism as a tool for economic development. It's also a sad time for us here at The Franklin Times because we are losing one of our favorite and best-read features. 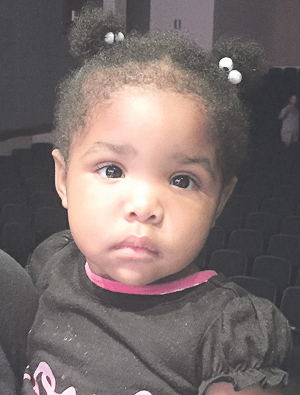 Elsewhere in this edition is the last official "Tar River Roots" column written by Maury York. 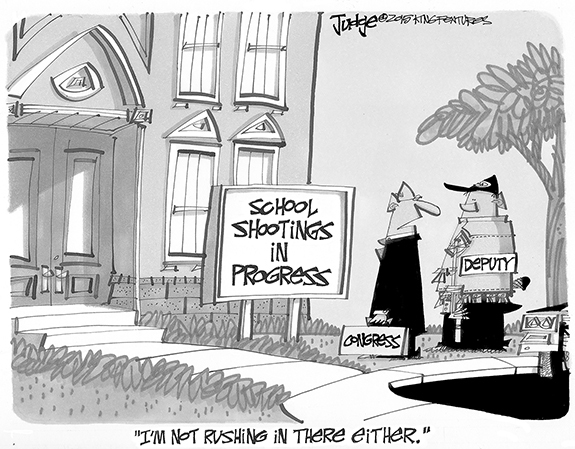 So, I read with a bit of earnest that "debate" on the legislative budget began earlier this week. I put debate in quotes because, with this budget, just like the last one, the current party in charge has a super majority, meaning that even if opposing-party legislators didn't like it or if the governor wanted to veto it, the spending plan can't be stopped. Dear editor: Franklin County Public Schools are presently thriving and improving, but in my opinion, these achievements are not sustainable. I contend that years of state-legislated mandates, coupled with funding cuts, inequitable sales tax exemptions, the mismanaged NC Education Lottery, and the proliferation of publicly-funded Charter Schools have weakened Franklin County Public Schools to such an extent, that no amount of hard work and sacrifice by the superintendent, principals and teachers alone can remedy an impending calamity. George Holding went along with Republican congressional leaders Paul Ryan and Mitch McConnell to foist this bad tax bill on all of us here at home. REGION CHAMPS. 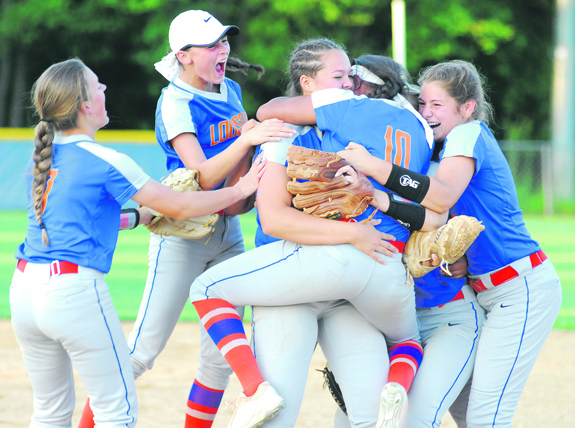 Members of the Louisburg High School softball team celebrate near the mound after winning the Class 1-A East Regional Softball Championship last Thursday at Camden County. CAMDEN -- Something about a journey to Camden County -- with everything on the line -- seems to bring out the best within the Louisburg High School Athletic Program. Flash back to 1997, before any members of the current LHS softball squad were even born. 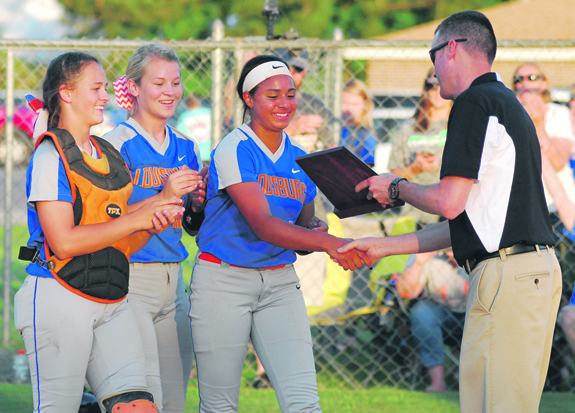 Louisburg High School softball standouts (l to r) Chelsea Roberson, Taylor Ferguson and Kaylee Saunders proudly accept the regional championship plaque from Camden Athletic Director Mark Harnly. LOUISBURG -- It took 20 years, but the Louisburg Lady Warriors are headed back to Raleigh to compete in the Class 1-A State Softball Championships. After its two-decade hiatus, LHS will swing into action this Friday for a best-of-three title series against either Alleghany or South Stanly. Those teams are currently mired in a six-day rain delay due to poor weather in Western North Carolina, with their series tied at one victory apiece. CLEARWATER, Fla. - American Athletic Conference Most Outstanding Player Spencer Brickhouse collected a pair of hits, while Jake Agnos set a new Championship Game record with nine strikeouts helping No. 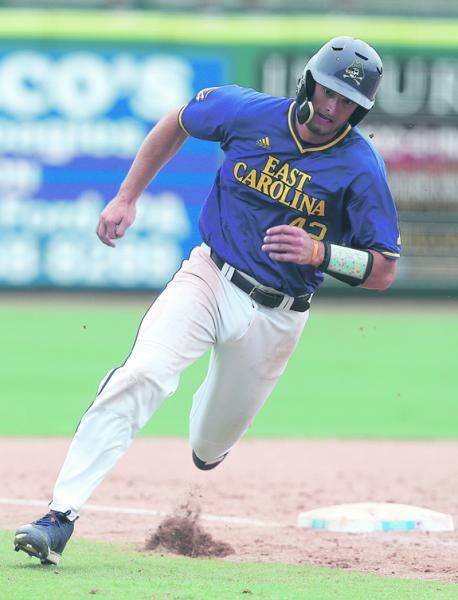 15 East Carolina University to a 4-3 win over No. 22 Connecticut last Saturday afternoon in the 2018 AAC Baseball Championship Game. 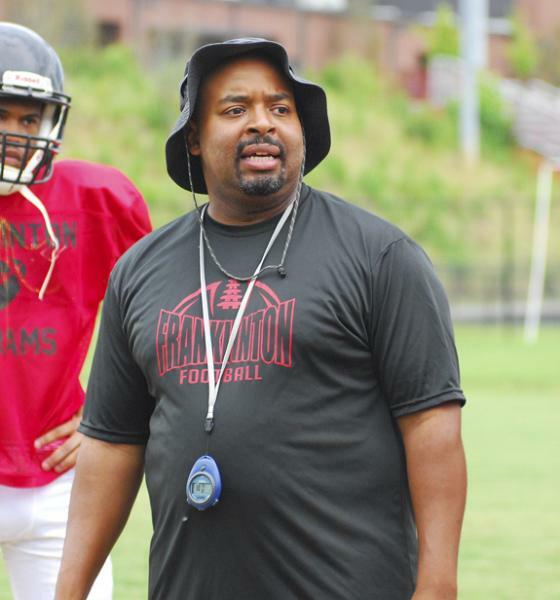 FRANKLINTON -- Franklinton High School is looking for a new head football coach after the resignation of JeVar Bransome. Bransome, who came to Franklinton two years ago after serving as an assistant at Rolesville High School, will be returning to Wake County as the new skipper at Southeast Raleigh. LYNCHBURG, VA. -- Braden Webb totaled a career-high nine strikeouts and Ronnie Gideon went 3-for-4 with two doubles, a home run and three RBI as the Carolina Mudcats opened up a three-game series versus the host Lynchburg Hillcats with a 7-0 victory on Tuesday night in Class A Carolina League action. Webb (3-3, 4.26) worked through six scoreless innings, with two hits, one walk and a career best nine strikeouts. BUNN -- Success has been a constant within the athletics program at Bunn High School -- and this year proved to be no different in that regard. 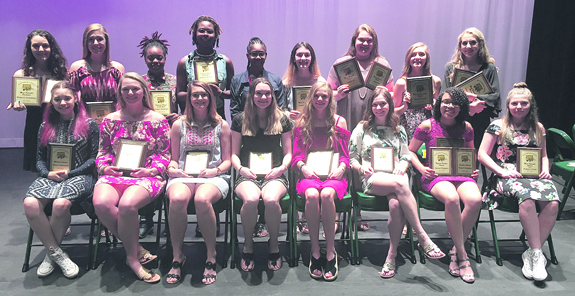 Bunn wrapped up its strong season Tuesday by hosting its annual Athletic Awards Ceremony at the BHS Auditorium. Pictured (Above): DYNAMIC DUO. 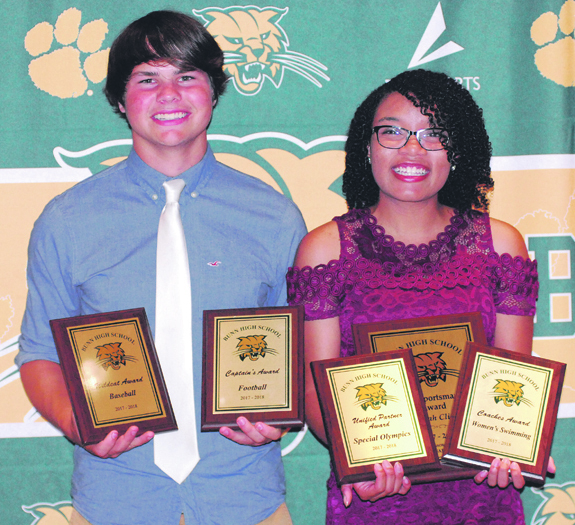 (L to R) Dylan Timberlake and Rekiyah Clifton were among the winners of top honors during Tuesday's Bunn High School Athletic Awards Ceremony, which was held at the BHS Auditorium. 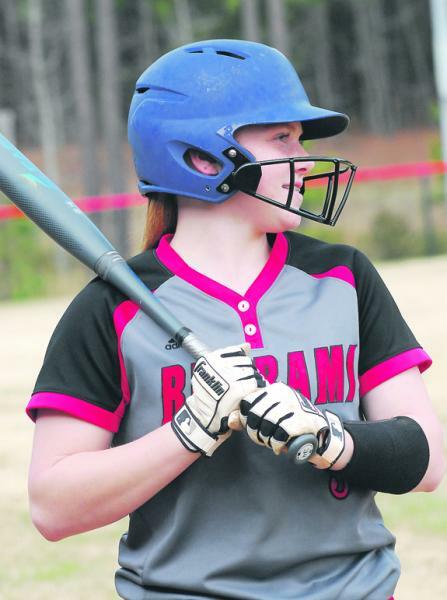 FRANKLINTON -- Franklinton High School's adjustment to the Big East Conference proved to be a smooth one on the softball diamond. The Lady Rams went 6-11 overall and 3-7 in the Big East, which was good enough for fifth place overall in the always-competitive league. And with just two seniors on the roster, the future looks bright for Franklinton. THAT'S IT. 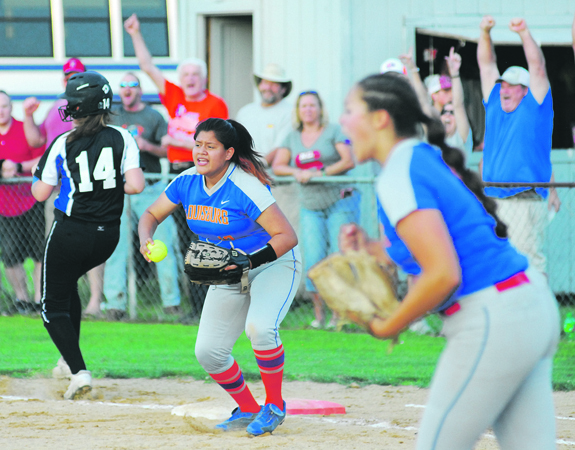 Louisburg High School first baseman Brenda Mata (with ball) records the final out off a grounder to clinch last Thursday's Class 1-A East Regional Championship. Among the fans celebrating in the background are LHS coaching legends Freddie Edwards (orange shirt) and Al Bolton (blue shirt at right). 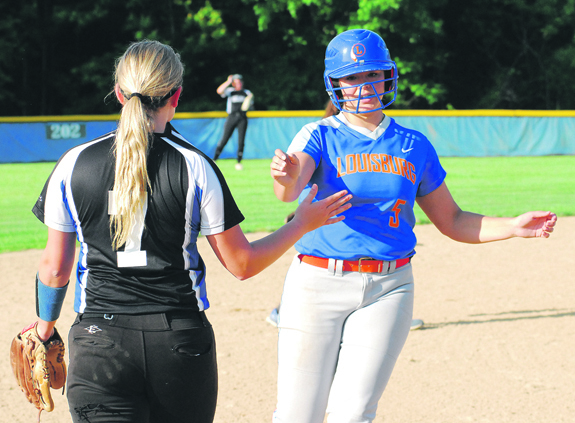 Louisburg High School's Laine Barefoot accepts congratulations from Camden County third baseman Kayla Russell after homering to give LHS the lead for good in last Thursday's Class 1-A East Regional Softball Championship contest. SMITHFIELD -- The 30th Annual North Carolina Wiffle Ball Tournament will be held July 14-15, again at Smithfield's Community Park in Johnston County. Four on Four teams will play double elimination in an effort to dethrone defending champions Uncensored, who dominated the event last year, outscoring their opponents 37-4 and winning the title game 13-1. FRANKLIN COUNTY -- Six high schools from Franklin, Granville and Person counties will team up this summer to form a developmental baseball league. Franklinton, Louisburg and Bunn will participate, along with Oxford Webb, Roxboro Community School and Oxford Prep. Games will begin June 13 and will run through July 24. 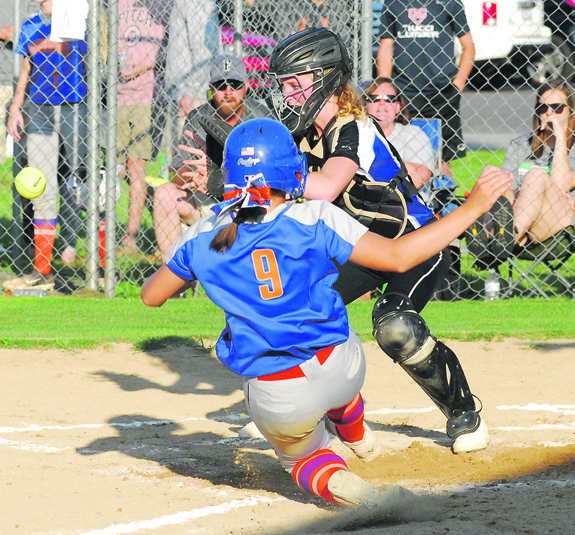 Louisburg's Chelsea Roberson (9) slides ahead of a throw and scores a run during last Thursday's regional softball triumph against the Camden County Lady Bruins. Whether it's advice from their parents, a response to television ads urging viewers to save for retirement, or their own financial savvy, many of today's young professionals recognize the importance of saving for retirement from the moment they receive their first paychecks. But men and women over 50 may not have been so practical, and many such professionals may feel a need to save more as their retirements draw ever closer. 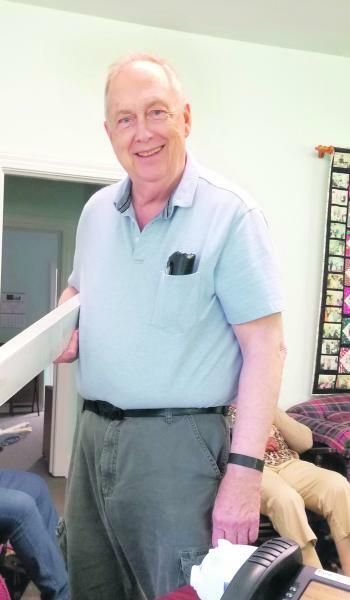 Charles Oakley drops off a donation to the Franklinton Senior Center. 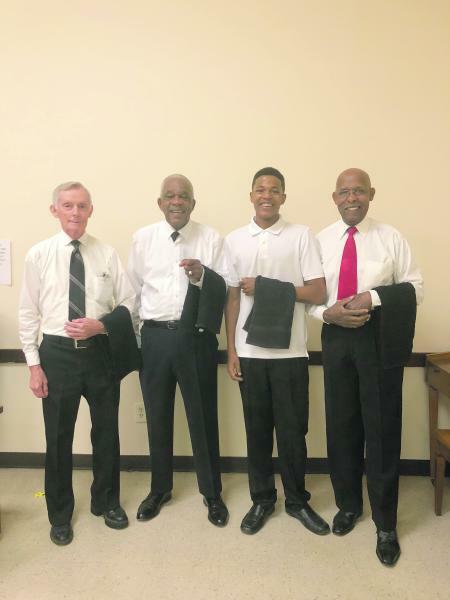 The mothers were escorted into the dining hall by volunteers pictured above (left to right): Harold Dickerson, Wilbert Wilkins, Avery Jones and Robert Baynard. FRANKLINTON -- Local and state officers, along with an anti-drinking and driving organization, combined this past weekend to conduct a driver's license checkpoint. It resulted in 100 charges on Saturday night. 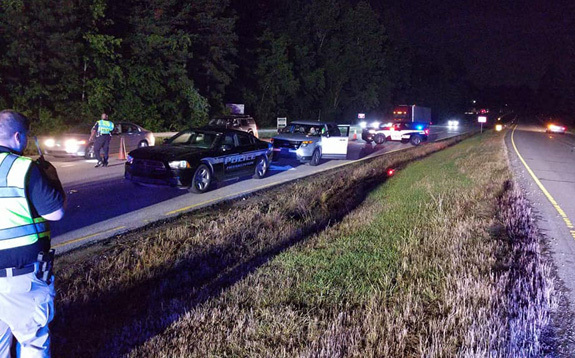 "This particular checkpoint's successful results surprised us all," Youngsville Police Traffic Officer J. Magsi said in an email.